The Senate opted to push a final decision on the government's proposed Canada Post back-to-work legislation to Monday, after hours of debate and witness testimony. The rare weekend sitting saw intense discussions about the government's motivation for forcing workers back to their jobs, partisan quips and concerns over violations of charter rights. The controversial bill, if passed, would go into effect at noon ET on the day following royal assent. Early on Saturday, a member of the Independent Senators Group (ISG) who requested anonymity because he wasn't authorized to speak publicly, told CBC News several ISG members have concerns with Bill C-89 and whether it complies with charter rights. In 2015, the Supreme Court ruled that Canadian workers have a fundamental right to strike, protected by the constitution. The senator said there was uneasiness about the rationale behind the government applying pressure to have an "extraordinary" sitting of the Senate, to suspend the normal rules of debate, and attempt to pass the bill in one day. The minister of justice provided a charter statement to the Senate at 1 a.m. ET on Saturday to address concerns over workers' rights. That statement outlines the considerations of the bill and how the government believes it incorporates the rights to freedom of association and expression. According to the government, Bill C-89 is consistent with the charter because resuming postal services is important to the Canadian economy. And the legislation, the government argues, would prevent continuing harm to businesses and Canadians in particular need of postal services — like rural or elderly Canadians. The Canadian Charter of Rights and Freedoms makes no mention of the economy or businesses, nor does it specifically address geographical inequality. The statement once again defended the government's actions, saying "the Bill is introduced only following unsuccessful efforts to bring the collective bargaining process to a satisfactory conclusion for all parties. The government has taken significant steps to promote the collective bargaining process by encouraging a negotiated resolution of the parties' dispute." Not all senators were thrilled with the document. Sen. Murray Sinclair was so unimpressed that he told the Senate he was "a little surprised it wasn't filed to us on toilet paper, it's that useless." As the proceedings began on Saturday, Sen. Peter Harder, the government's representative in the Senate, introduced the legislation with "regret." "Let me be clear, back-to-work legislation is a last resort," he said. "We are at the last resort." Harder spoke about the disruptions in service to Canadians, and said he'd prefer that an agreement would be reached without Parliamentary intervention. However, he said he believes it's the best way forward. "The legislation before us demonstrates a positive approach to resolving a difficult and delicate dispute." If the back-to-work bill is passed, it would designate a mediator-arbitrator to assist Canada Post and the workers' union in reaching an agreement. If that were to fail, they would turn to binding arbitration. Conservative Sen. Leo Housakos slammed the Trudeau Liberals for taking five weeks to respond to the rotating strikes. He ultimately supports the legislation, but said the Liberals respond "only when an issue becomes politically embarrassing." Senator Yuen Pau Woo, who heads the ISG, commented on the critical nature of the legislation. 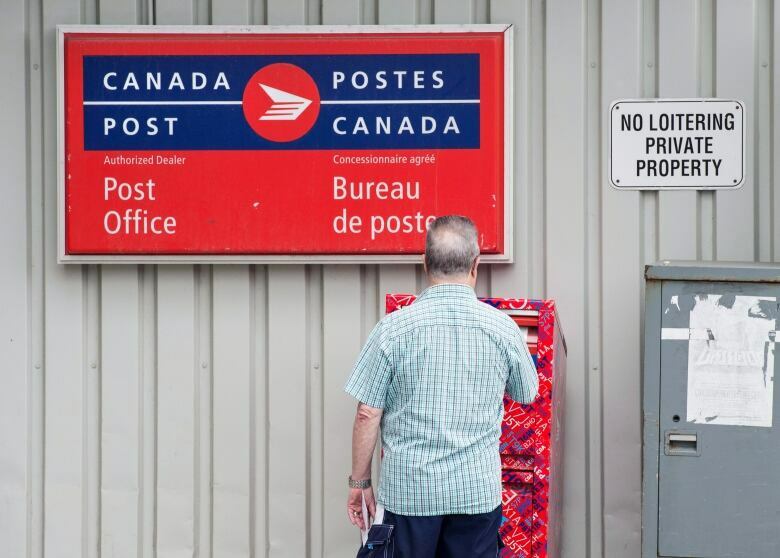 "At stake is the long-term sustainability and affordability of postal services for Canada, as well as the rights and employment conditions of workers." He had urged the government not to pressure the Red Chamber to rush through Bill C-89 Saturday, pleading for the appropriate time for senators to digest the debate from the House of Commons. 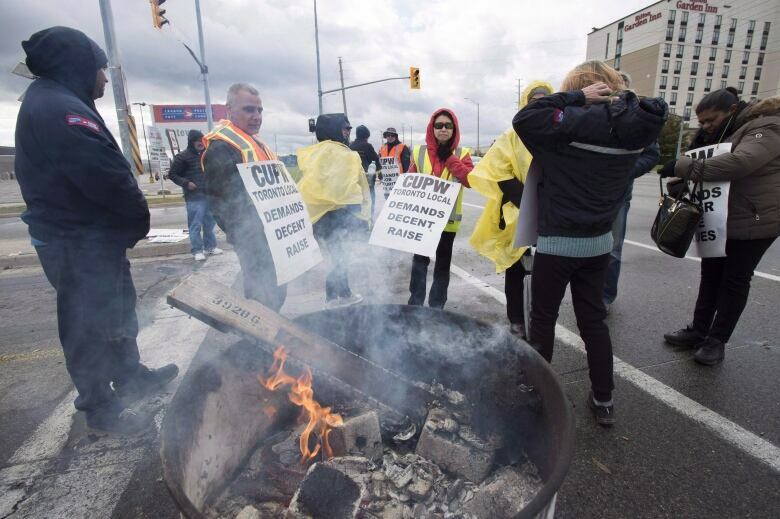 Members of the Canadian Union of Postal Workers (CUPW) have held rotating walkouts for a month, causing massive backlogs of unsorted mail and packages at postal depots. 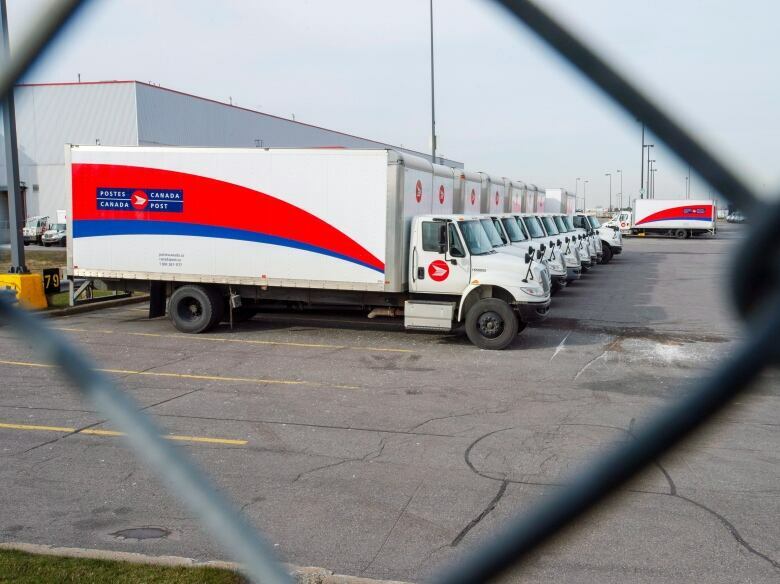 Canada Post said it could take weeks — even stretching into 2019 — to clear the backlog that has built up, especially at major sorting centres in Toronto, Montreal and Vancouver. Union leaders this week continued to mount fierce opposition to what they say would be unconstitutional legislation, vowing to fight the government's actions in court and on the streets. Minister of Labour Patty Hajdu defended her government's legislation this week, saying it's not "heavy-handed." Hajdu and Public Services Minister Carla Qualtrough appeared before the Senate on Saturday to deliver statements and answer questions. They were grilled about the length of time the Liberals took in responding to the strike, the alternatives possible to minimize the impact of the strikes, and the end goal of the labour dispute. "It is the government's perspective that the legislation we have crafted is incredibly balanced," Hajdu told the chamber. On top of appearances from ministers, the interim president of Canada Post and the head of the union made remarks to the Red Chamber. "I didn't want to be here discussing back to work legislation," Jessica McDonald of Canada Post admitted. "Despite extensive efforts … we have not been able to find the common ground needed." 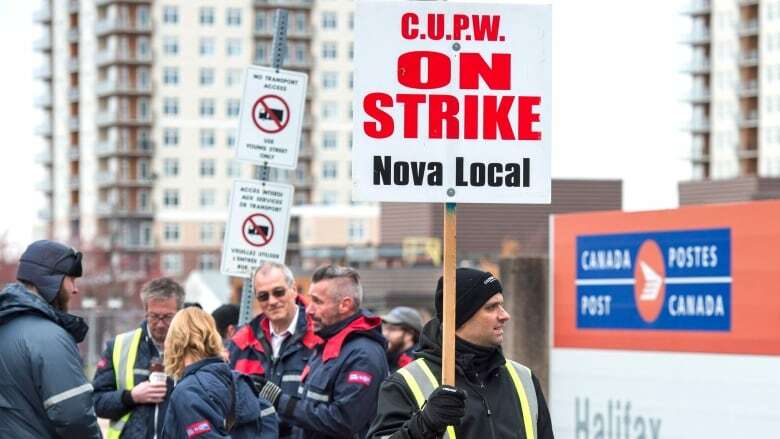 This weekend, Canada Post expects to deliver only 30,000 parcels, when they had originally planned for 500,000, she said, underscoring the toll the strike is taking on consumers. CUPW President Mike Palecek, balked at her comments, calling those statistics fictional. He shared multiple stories of workers who had been injured on the job, or who work such extensive overtime they barely see their families. And he condemned the back-to-work bill. "Our charter rights are about to be violated," he stated. "I don't believe this bill is necessary, I believe it is an impediment to improving labour relations at Canada Post."